We celebrated ... So excited to write this post! 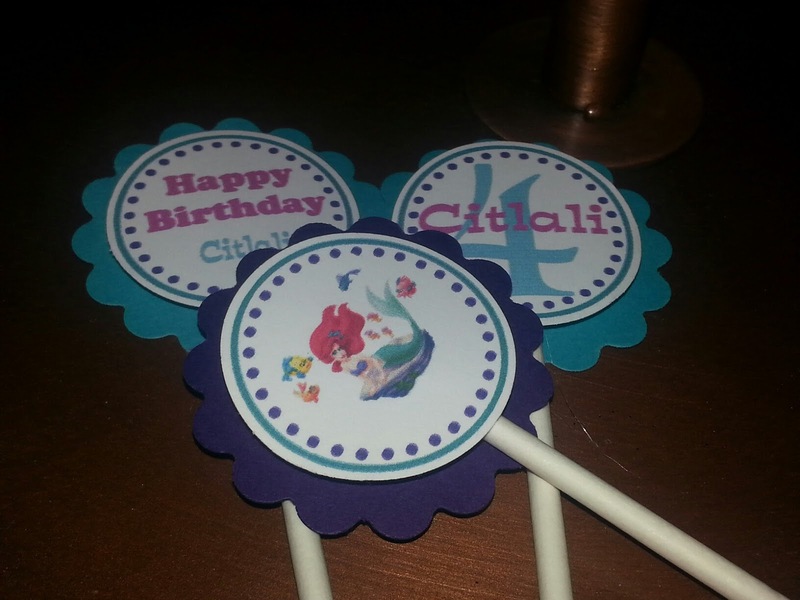 Our Little Star turned 4 this past weekend...and yes we had a small celebration! I have used some of our past vendors for this party as we have done in the past because they are always exciting our expectations. 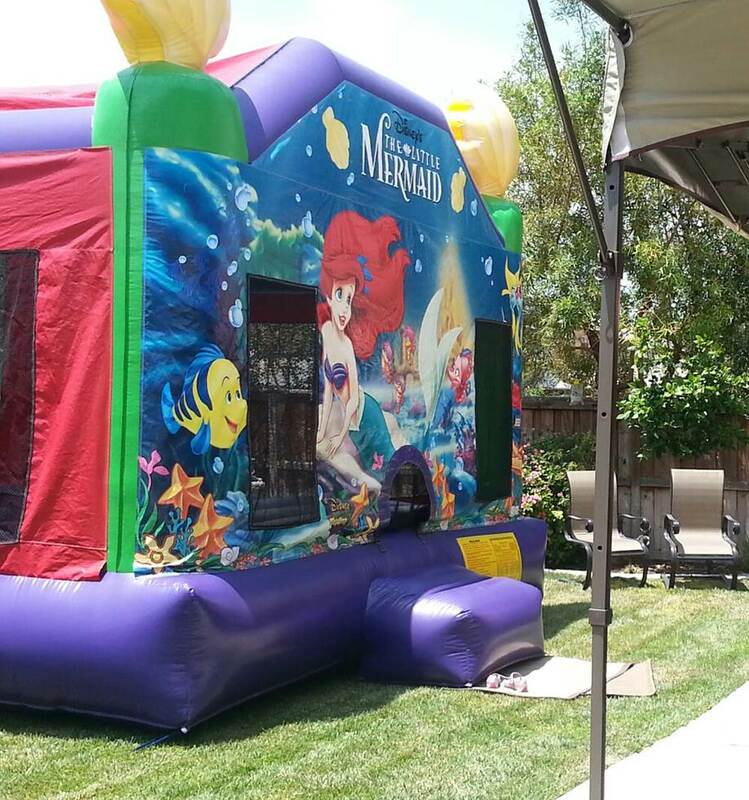 First of all our theme was "little mermaid" fun!. 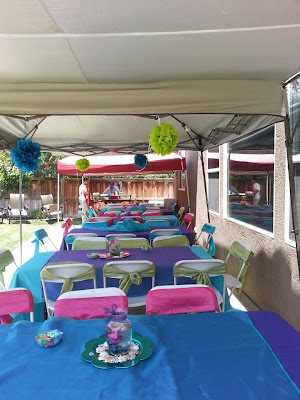 With theme colors of Purple, pink, turquoise and lime green, very fun! Our little one knew what she wanted from the get-go! Ariel, Flounder and Sebastian wood cut outs were a hit! 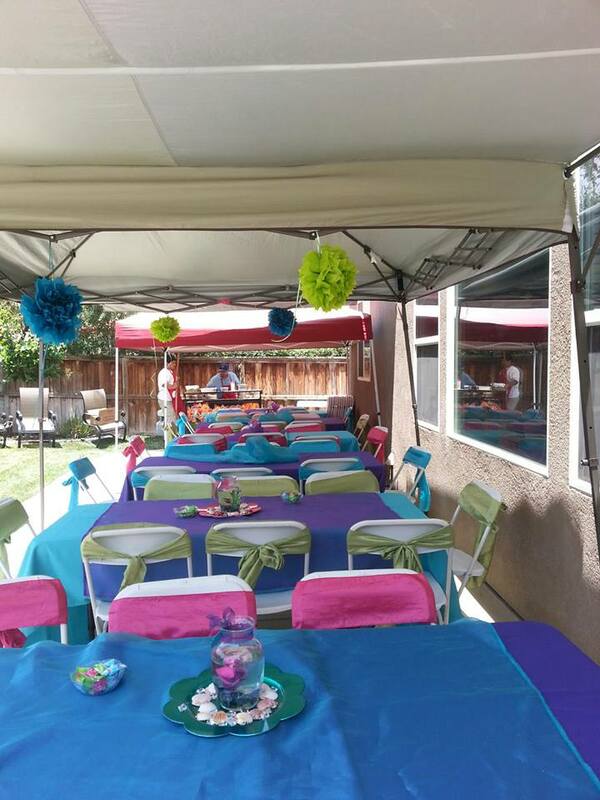 Tables, chairs, tablecloths and chair sashes, cupcake toppers from from All that and more party rentals! 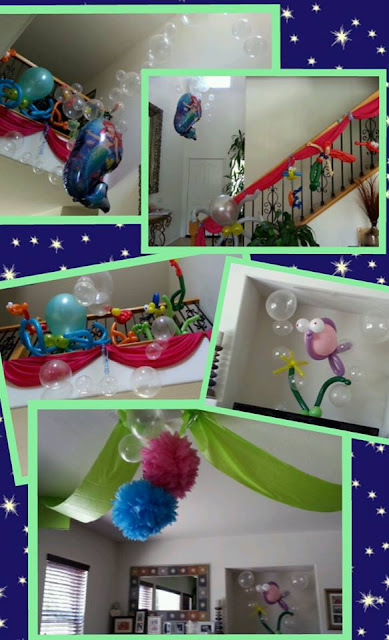 Siobhan owner of "All that and more party rentals" is always detailed in what she does, All our décor matched! 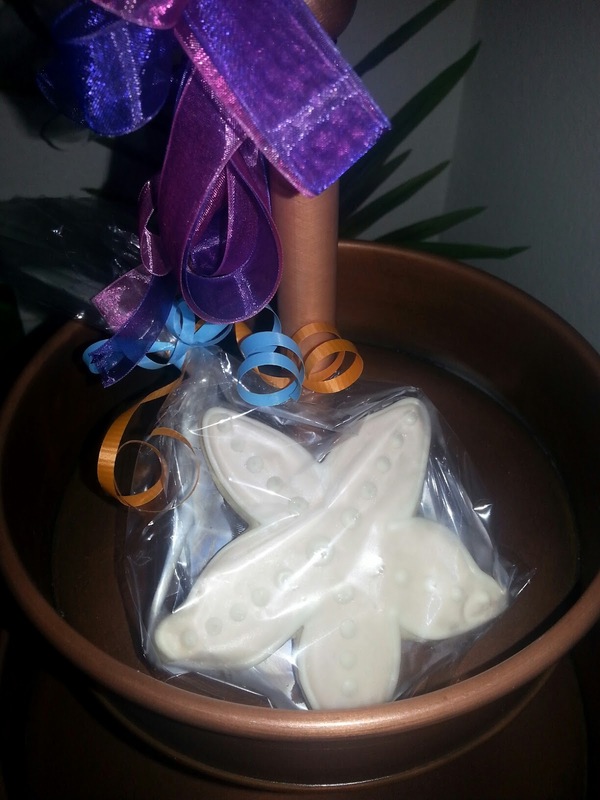 sashes, tablecloths, the cupcake toppers..they were so pretty. 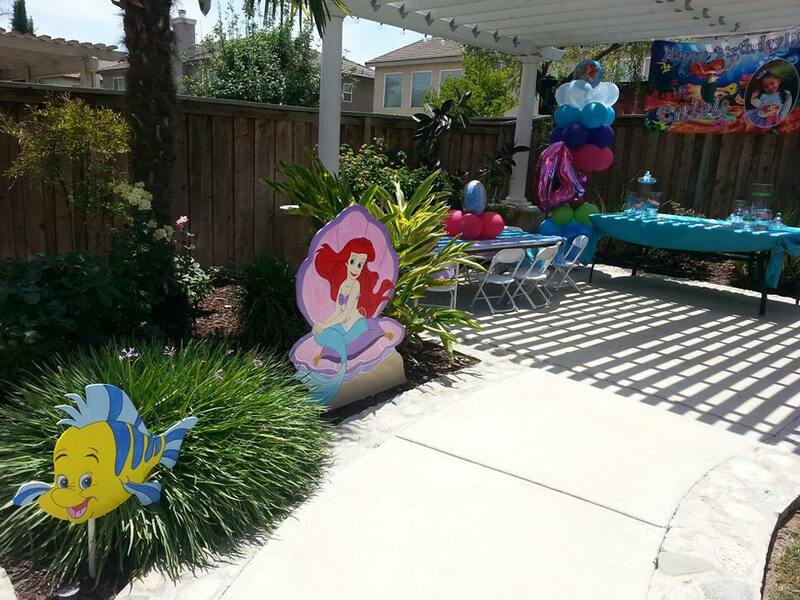 The Woodcut outs of Ariel, Sebastian & flounder were the hit of the party! 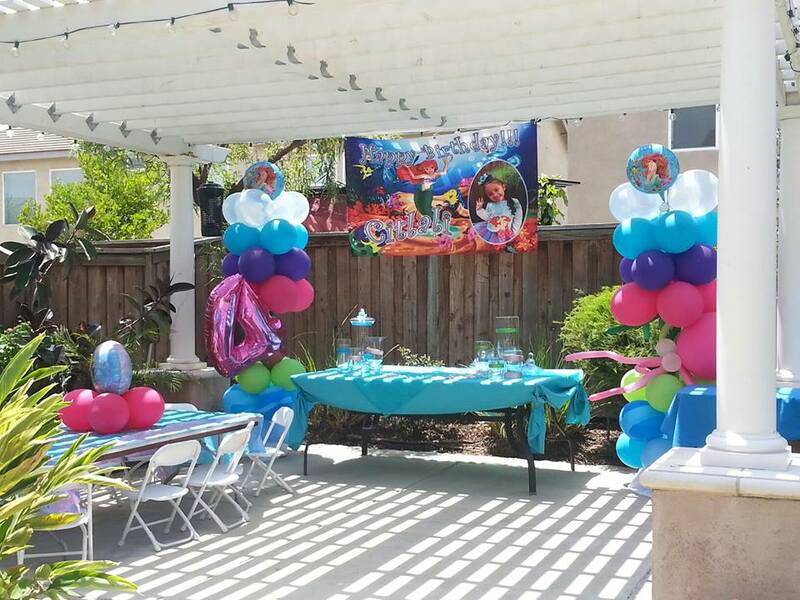 She has many different themes available to match your party. I have worked with Amy of Facepaint by Amy in the past at a local Chick Fil- A. My daughter loves her work and so did I. she does an amazing job and doesn't compromise on her work, kids love her and parents like the fact that she uses FDA approved paint! 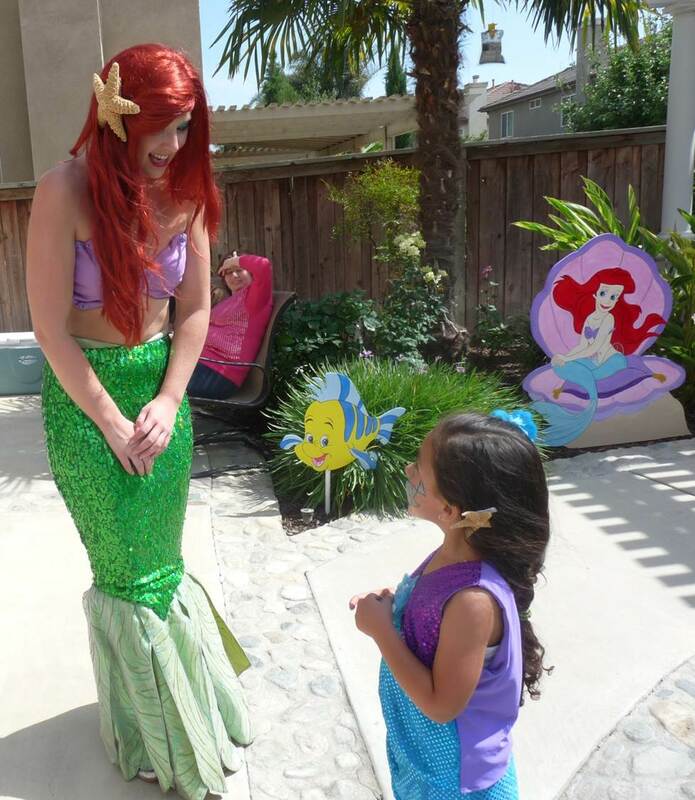 Little Star was so excited to see "Ariel" show up at her party! she was ecstatic that she played games, did crafts, showed them how to dance & SANG amazingly --she was so jaw dropping talented! I have used Flour Cart Bakery more than 5x's.... seriously! her cakes are moist, fresh & beautiful! she also made our custom cookies which were individually wrapped and were sandollars & starfish! so pretty. A Little Mermaid Jumper!! 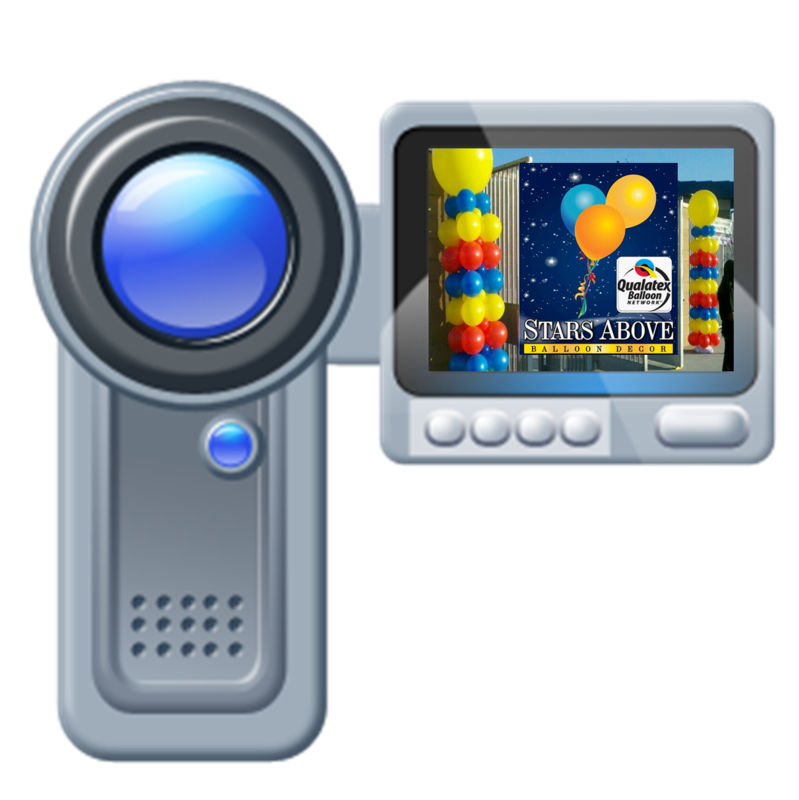 yes found it with Bounce it Up. 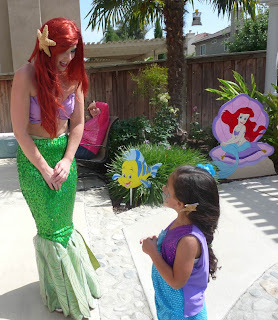 Little Star wanted a "little mermaid jumper". I had to search and search for it until I found it! its a trademarked jumper so those are hard to find but it was so worth it. I had never used this company before, but I will continue to use them! they were awesome! their customer service was awesome and a family owned and operated.. and they have different jumpers to choose from. As you can see... Little Star had an awesome party! getting little stars (2) two outfits done with a designer..they were amazing! Lil Star had a great time and she kept saying "thank you mommy and pappi for the best party ever!" warmed my heart.. I'm sure will remember it for ever as much as I will. Excited to say ..we are doing VIDEOS on site! Sometimes its hard to explain what balloon decorations can bring to a party space. A Ballon decorator for my party..Who to choose!? When you are making the decision of what size or style of column or arch will work for you it can get overwhelming. 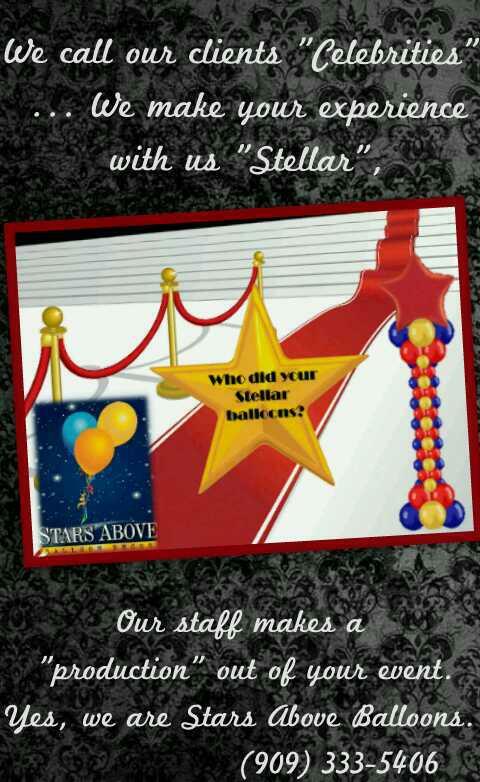 Copyrights by Stars Above Balloons Decor 2012. Watermark theme. Powered by Blogger.